You're making sales and getting paid -- great! 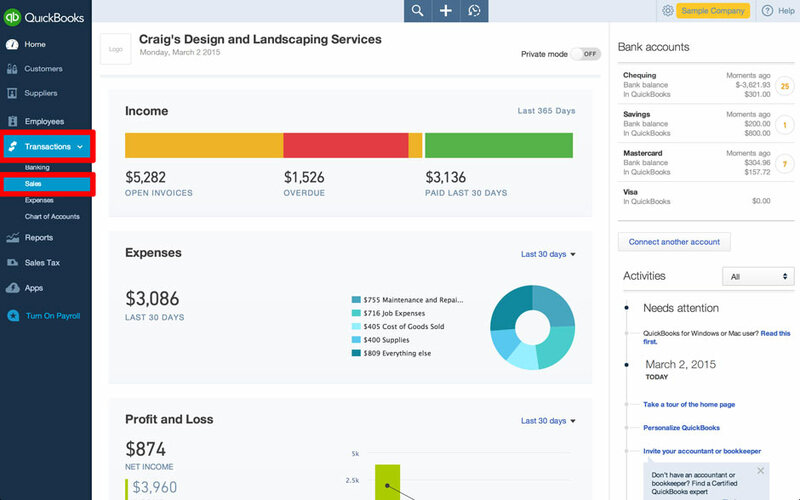 This video shows you how to record sales and payments in QuickBooks. 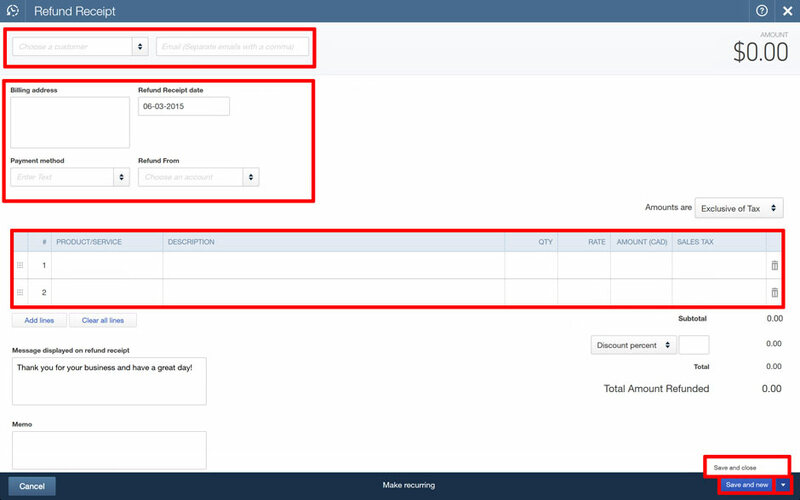 If you sell something and get paid immediately, record the sale with a sales receipt. 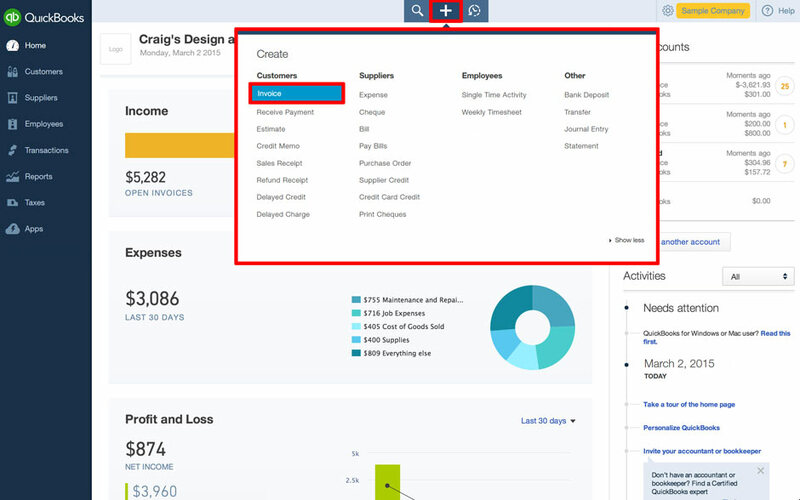 In the Navigation Bar under Transactions, click Sales. 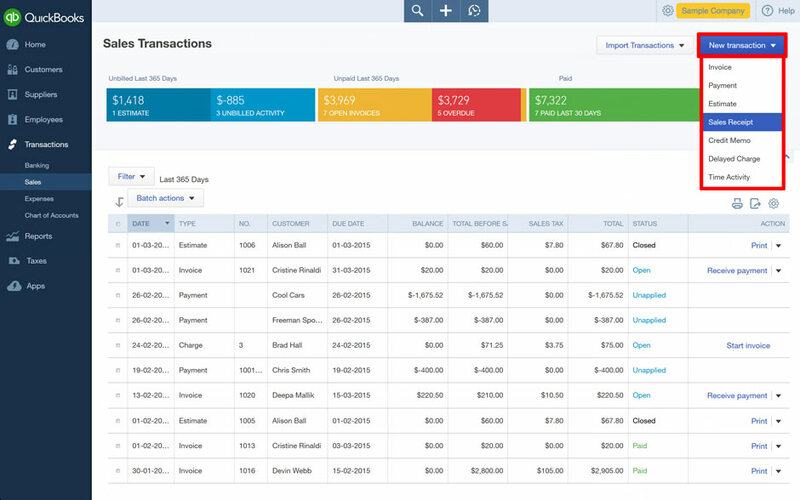 Go to New Transaction and click on Sales Receipt. Enter all of the necessary customer information and save it. 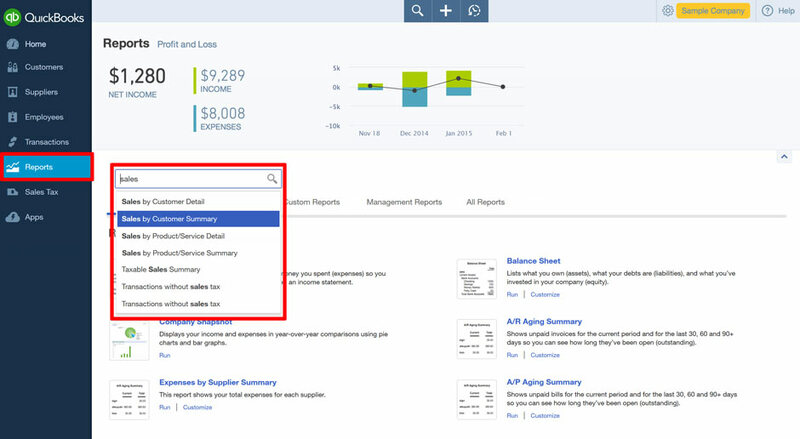 If you let your customers pay you later, record the sale with an invoice. 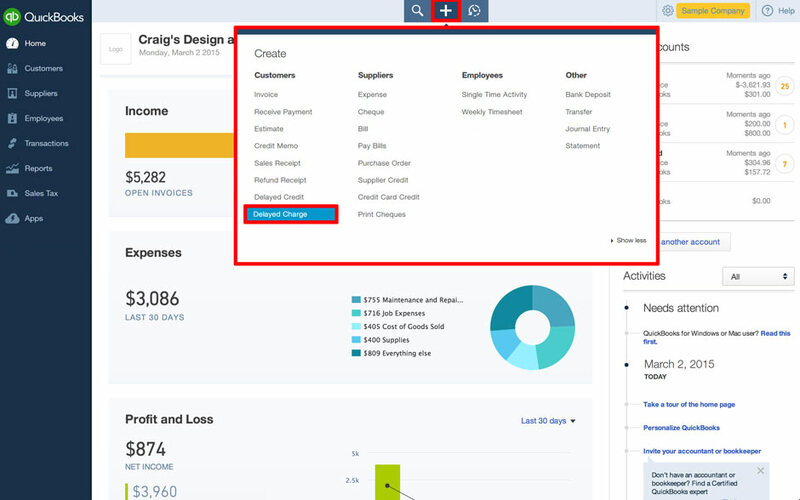 Click on the Create (+) Menu and under Customers, click Invoice. 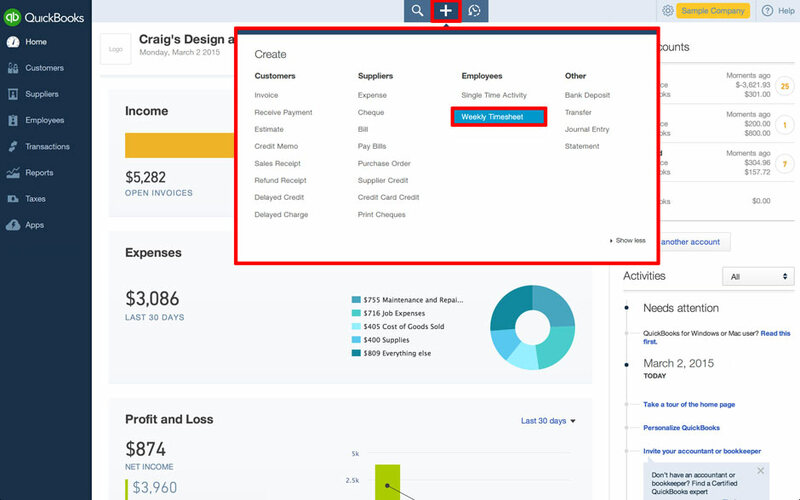 When your customer pays, record the payment on the Receive Payments form by clicking the Create (+) Menu and under Customers choose Receive Payment. Select the customer and then enter their payment method accordingly. Save the payment. 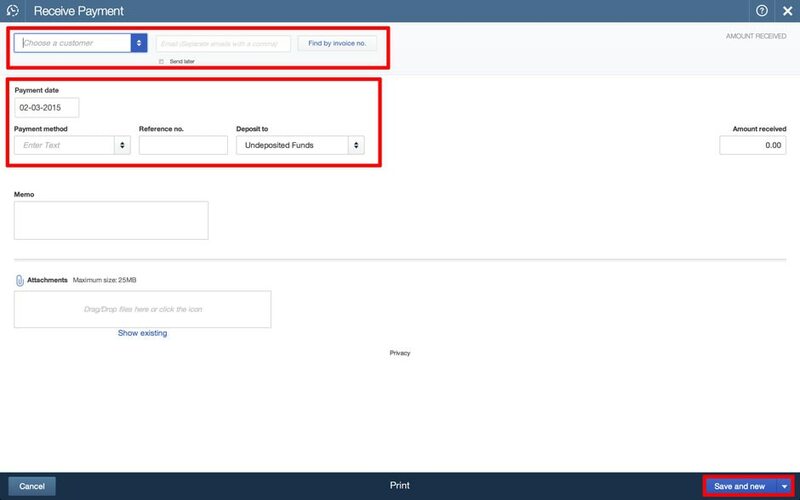 To record your deposit, go to the Create (+) Menu and under Other choose Bank Deposit. Choose the proper account and then select Existing Payment or Add New Deposit. Then Save it. 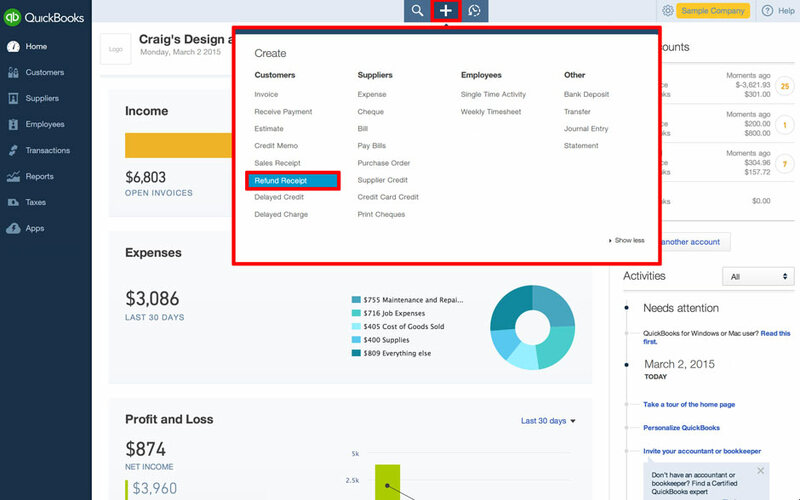 To keep track of pending customer invoices, like billable hours or purchased products, go to the Navigation Bar and choose Customers. 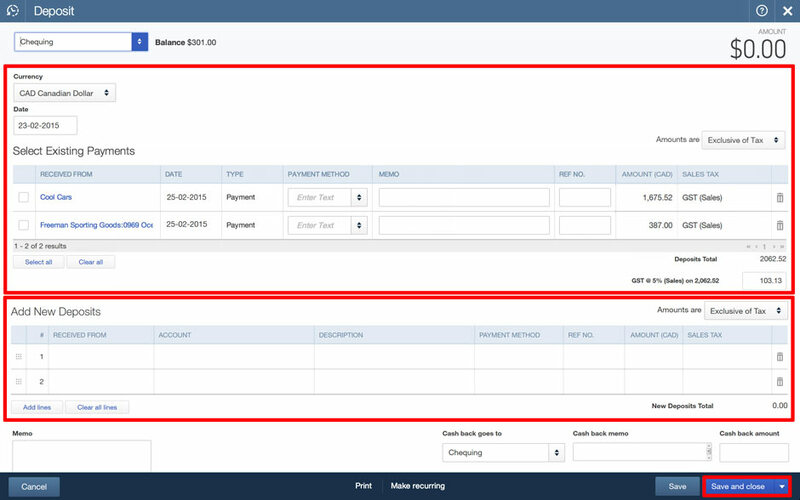 Click Unbilled Activity in the colour-coded money bar to see what has not been charged yet. 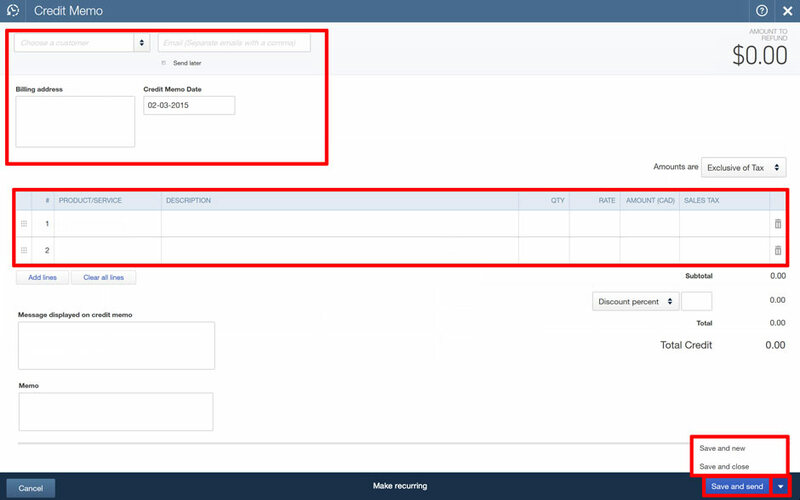 To remind yourself to invoice your customers, go to the Create (+) Menu and under Customers choose Delayed Charge. Choose a customer and enter the product or service. Then save the delayed charge. 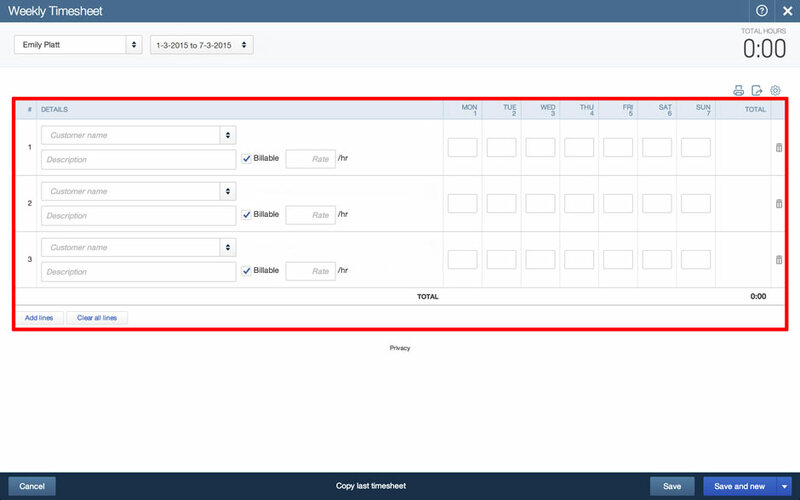 To create a weekly record of your employee’s hours, go to the Create(+) Menu and under Employees choose Weekly Timesheet. 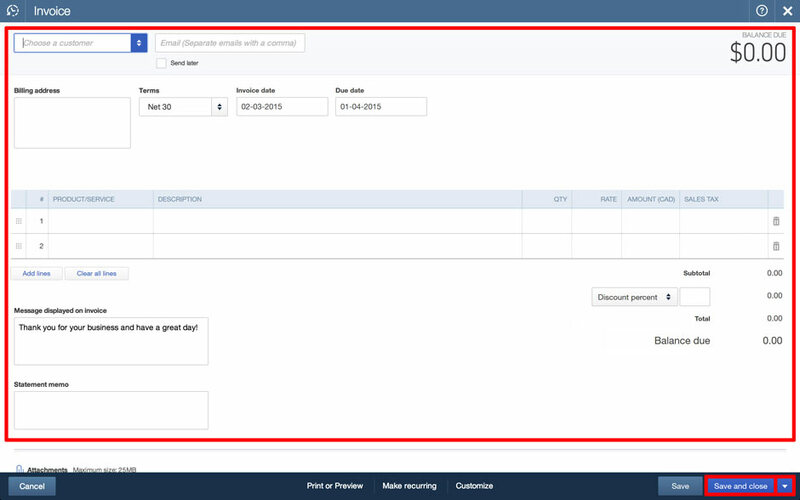 Add any billable items along with the daily hours and save the weekly timesheet. 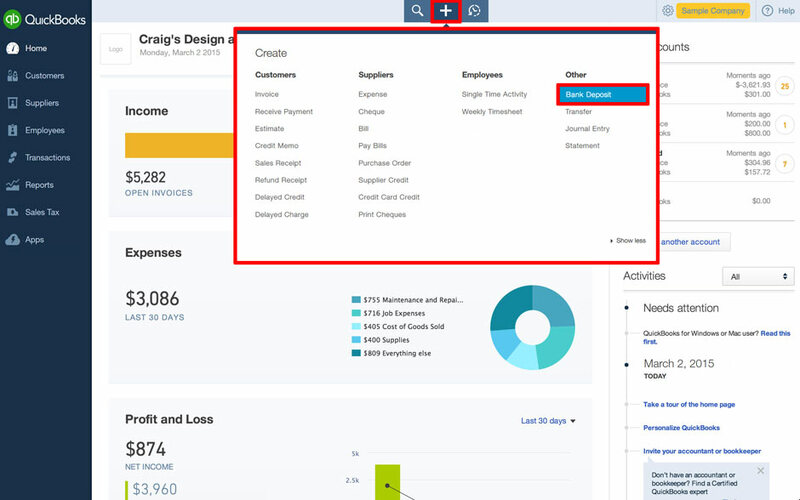 To invoice your customers for these hours, go to the Create (+) Menu and under Customers choose Invoice. 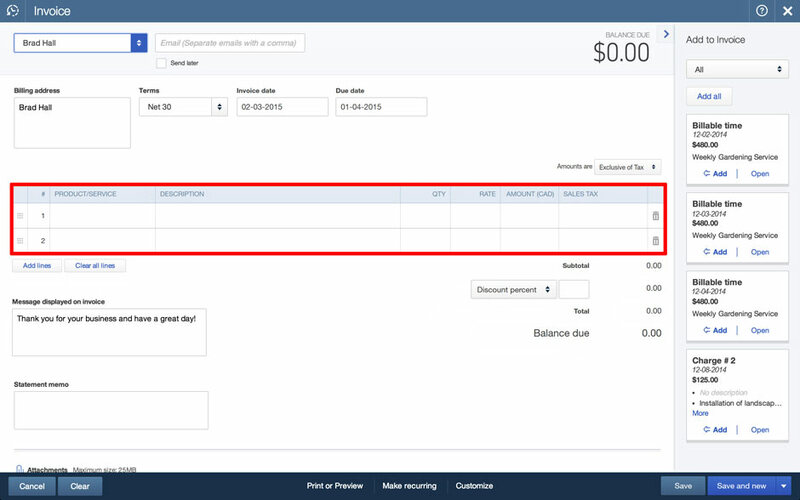 This is where you will add your billable hours from the Weekly Timesheet. 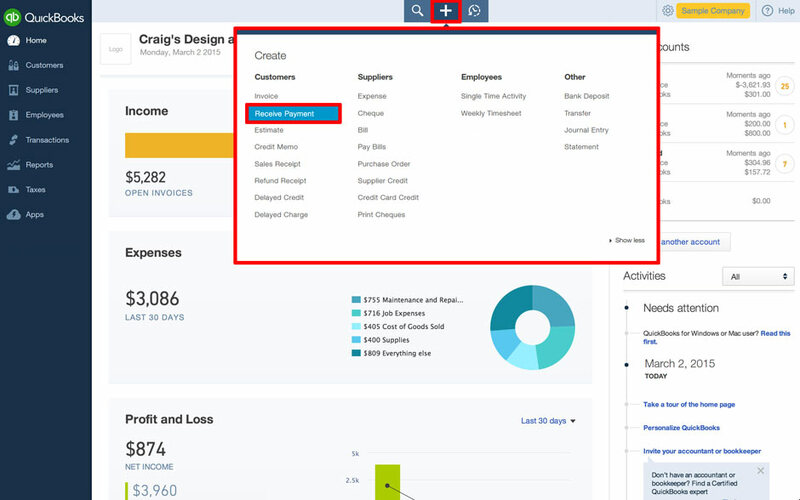 If a customer wants credit to use later or apply to an invoice now, create a credit memo. 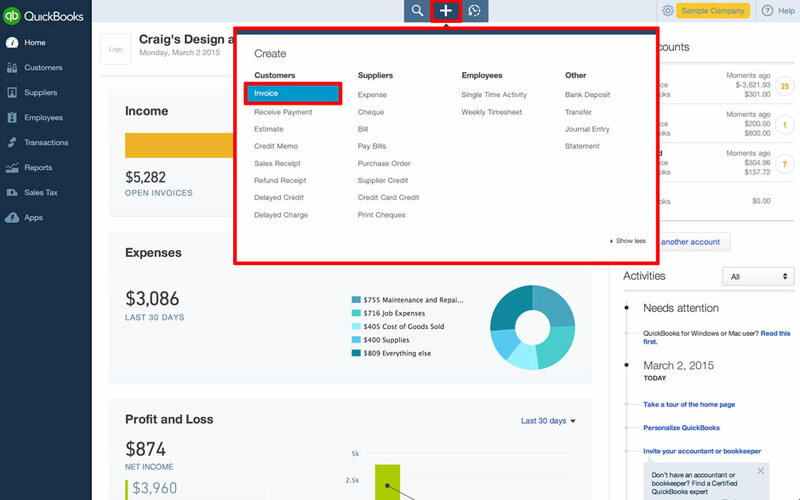 Go to the Create (+) Menu and under Customers choose Credit Memo. Choose a customer. 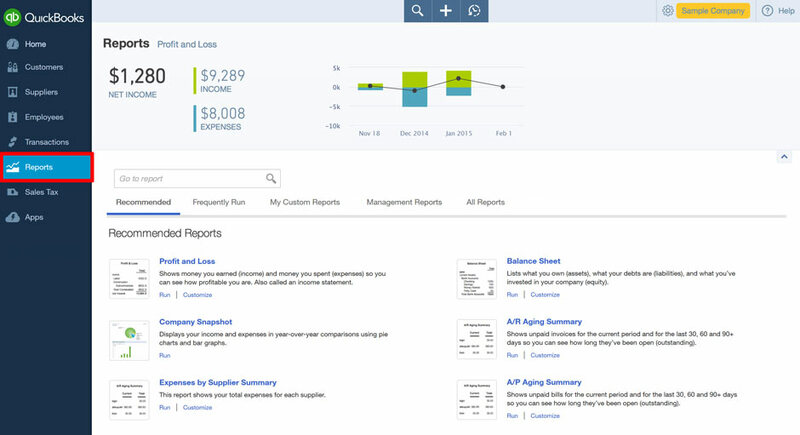 Enter their billing information and choose a product or service and any taxes or discounts. Save the credit memo. 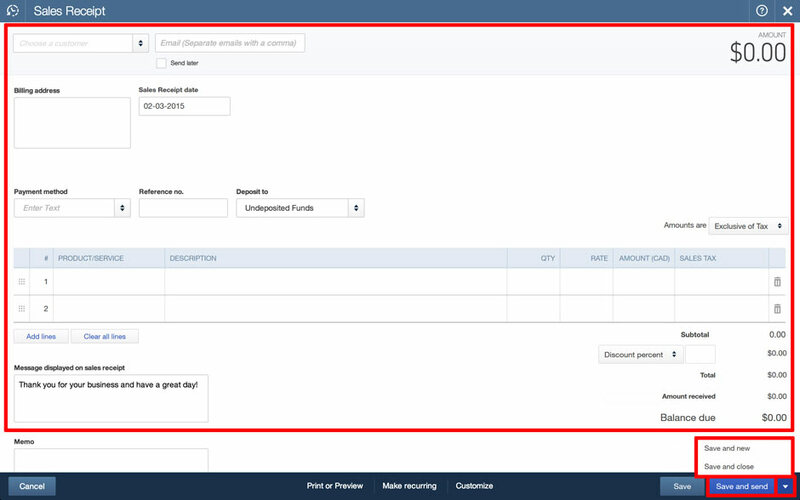 If the customer wants their money back, record that payment to them with a Refund Receipt. Go back to the Create (+) Menu and under Customers choose Refund Receipt. Choose a customer. Enter their billing information and choose a product or service and any taxes or discounts. Save the refund receipt. 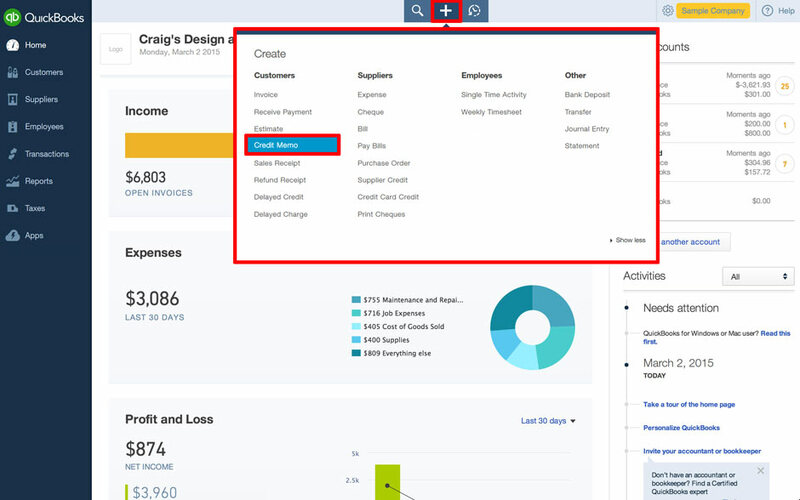 To analyse your sales by what you sold and to whom, go to the Navigation Bar and choose Reports. 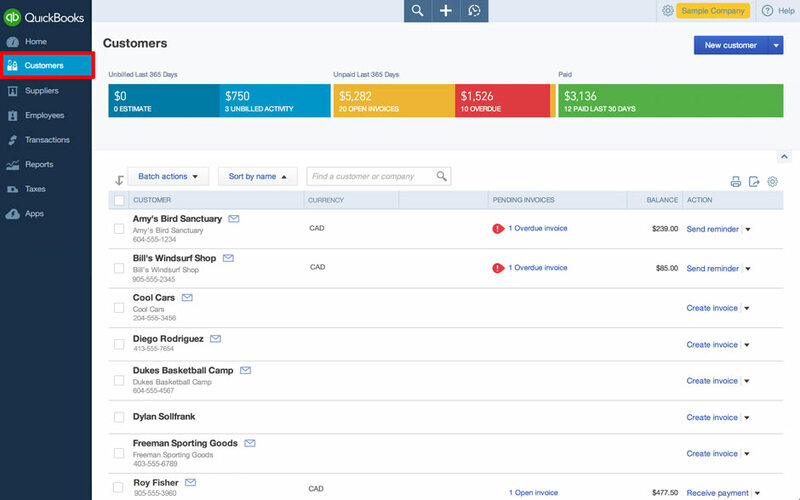 Type “Sales” into the search field and choose Sales by Customer.